The National Institutes of Health is dedicating $3 million to fast-track the development of drugs to treat marijuana addiction — an estimated 4.2 million Americans are hooked on cannabis — even as the president encourages its legalization and more states look to enact laws for its recreational use. The National Institutes of Health and the National Institute on Drug Abuse plan to award $3 million to fund three projects aimed at fast-tracking research on drugs to help curb marijuana abuse, and the Food and Drug Administration has not approved any medications to treat pot addiction. In its proposal, the National Institute on Drug Abuse states that marijuana is the most commonly used illicit drug, with an estimated 2.4 million people trying it for the first time last year, and has the highest number of Americans dependent on or abusing it. The institute’s call for research seems to divert from policies touted by the Obama administration, which has been the most progressive in history allowing for marijuana use. 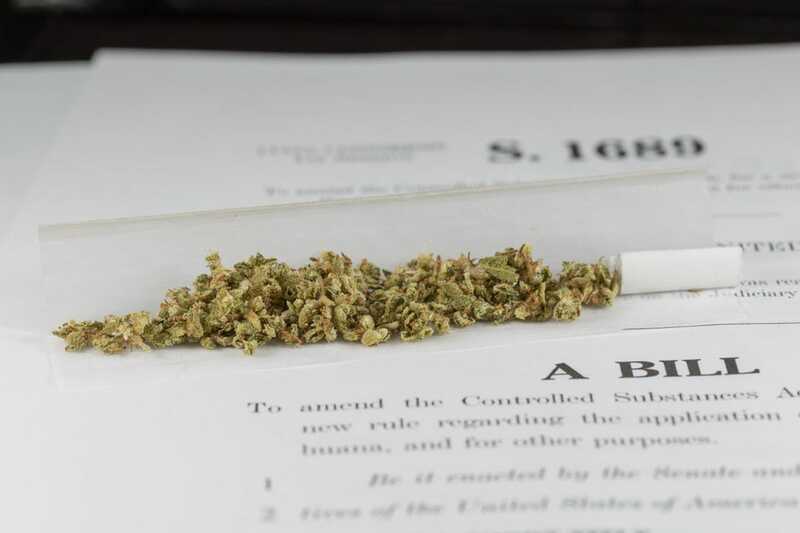 During Mr. Obama’s tenure, the Department of Justice said it would not prosecute or enforce laws against the production and sale of marijuana at the state level. To date, 23 states and the District of Columbia have enacted laws allowing pot to be used for a variety of medical conditions. Colorado, Oregon, Washington, Alaska and the District of Columbia have permitted recreational use of pot. The administration’s most recent move loosening the federal restrictions on weed was made Monday, when it lifted a bureaucratic requirement for those wishing to conduct scientific research on the drug. For committing $3 million in taxpayer money to find a treatment to a drug that the administration is looking to make more accessible, the National Institute on Drug Abuse gets this week’s Golden Hammer, The Washington Times’ weekly distinction highlighting waste, fraud and abuse — or in this case hypocrisy — in the federal government. According to a study by researchers at Carnegie Mellon University, the number of heavy marijuana users has increased sevenfold in the U.S. since its lowest point in 1992. Although the heavy marijuana users represent only about 2 percent of the U.S. population, daily and near-daily marijuana users consume 80 percent of the marijuana in the country. He predicted similar results as marijuana prohibition eases. “Ending the prohibition of marijuana, what we’ll see is a dramatic increase in its use and the total number of people affected by issues like intoxication and addiction,” he said. Mr. Gitlow estimates that 15 percent to 20 percent of youths and 10 percent of adults who try marijuana will become addicted to it. Qualities commonly associated with pot addiction are apathy, loss of concentration, paranoia and increased likelihood of psychosis, which leads to increased psychiatric admissions, he said. I’ve been ‘researching’ cannabis for 47 years. The only bad experience I’ve ever had was spending 5 years in Federal Prison for a pot offense.